Assemble 6 sandwiches with the bread, cheese and chutney. 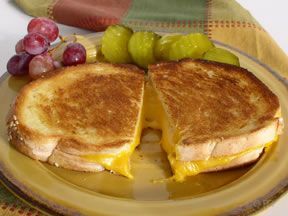 In two batches, melt the butter in a large skillet over medium heat and cook the sandwiches until the bread is golden and the cheese has melted, 2 to 3 minutes each side. 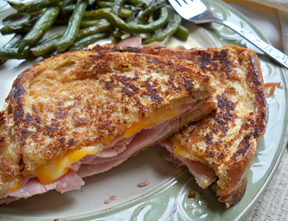 Cut sandwiches into quarters before serving. Great served with soup or salad. Serves 6.